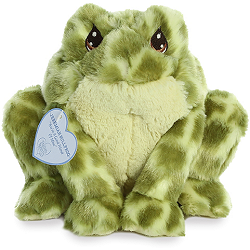 With a sweet face to melt your heart, Precious Moments Jeremiah Bullfrog also has a very special inspirational tag bearing his name and an encouraging message that is close to his heart - "You're A Good Friend Of Mine." 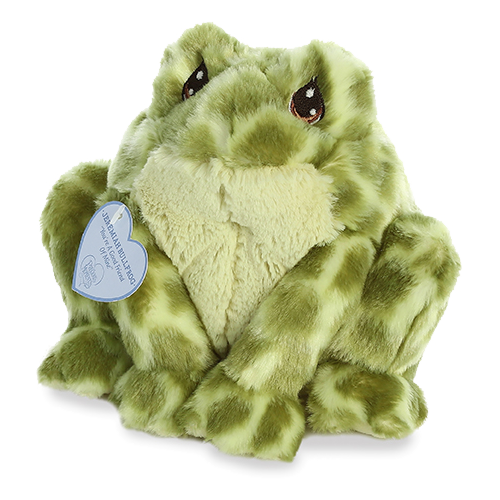 This adorable plush bullfrog has a huggable body of soft spotted green fur, a light yellow-green feet bottoms and tummy, and beautifully embroidered brown tear-drop eyes. 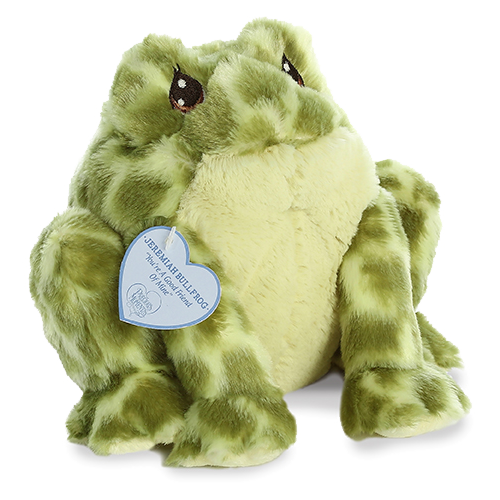 This Precious Moments Jeremiah Bullfrog is a stuffed animal bullfrog that will Share the Gift of Love for years to come. Ribbit is an adorable plush frog with soft apple-green fur and an inspirational message of Jumpin for Joy. 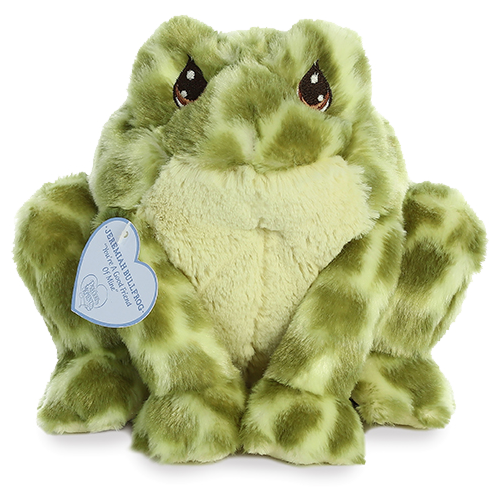 Lilly Jr. is an adorable Snuggle-Ups plush frog with soft green fur, cream accents, and an understuffed body. This sweet green CHARM IT! frog charm will brighten your day. This customizable Frog on Lily Pad fabric wall art is a great addition to any child's room and will have imagination hopping.